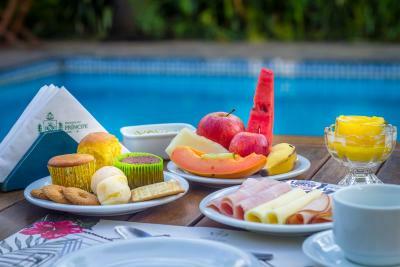 Lock in a great price for Pousada do Príncipe – rated 8.8 by recent guests! The bed was bigger than expected...we enjoyed our stay here! very near to the bus station. good breakfast. good wi-fi. outdoor pool. 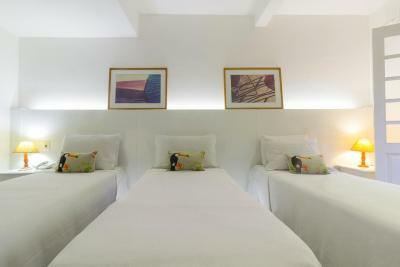 Very well located (close to city center, bus station, restaurants, tours), good breakfast and comfortable rooms. Good spa with massage. Staff really friendly. Nice common area. Great location by bus station and close to old town. Helpful staff. The staff was amazing. Great location, close to town. Breakfast, pool, location, lovely staff. Just beautiful! One of our top picks in Paraty.The traditional colonial-style Pousada do Príncipe features colonial-style architecture, enhanced by Paraty´s natural beauty. 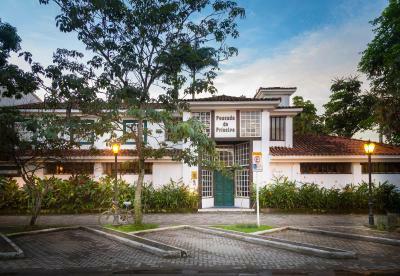 It is a 3-minute walk from Paraty historical center and Pontal Beach. 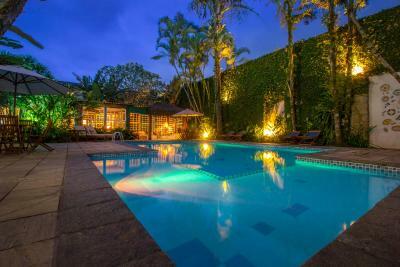 It offers an outdoor pool, breakfast and free WiFi. 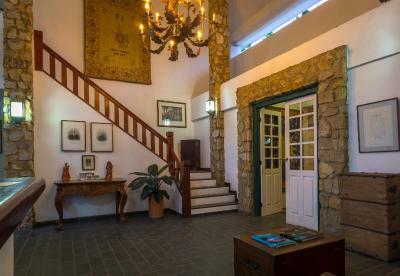 Spacious leisure areas and exotic plants surround Príncipe Pousada, which offers rooms with air conditioning, a telephone, LCD TV, a mini-bar, and mosquito netting on the windows. The spacious central living room provides a TV is an ideal place to relax or guests can enjoy a drink at the English-style bar or by the garden. The area is popular for horse riding and snorkeling. The guest house also offers bike hire. 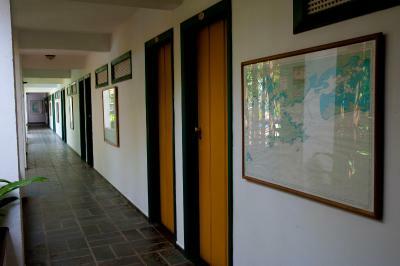 Paraty Bus station is 2,300 feet from Pousada do Príncipe, while Paraty Airport is 0.9 mi from the property. 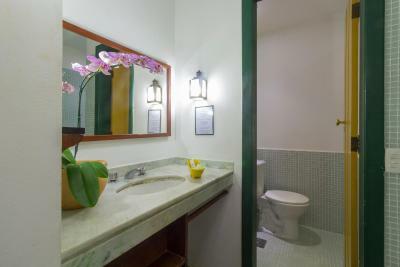 뀐 Located in the top-rated area in Paraty, this property has an excellent location score of 9.2! 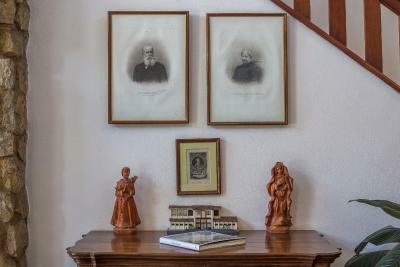 When would you like to stay at Pousada do Príncipe? This air-conditioned room offers a mini-bar, an LCD TV with cable channels, safe, ceiling fan and telephone. It has a private bathroom with a shower. All windows are equipped with mosquito nets. Please note, guests must specify bed config prior the arrival. This suite has air conditioning, a flat-screen TV and a mini-bar. It has a private bathroom with a shower. Please note that this room can accommodate children up to 4 years old, upon request and subject to extra charges. 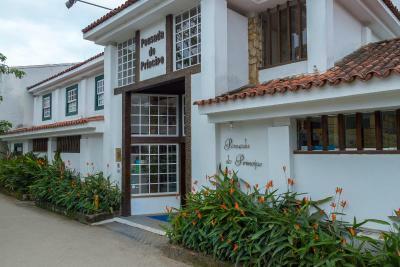 Located in Paraty´s main avenue, just a three-minute stroll from the Historic Center, Pousada do Príncipe was built in total harmony with the colonial style architecture of Paraty. In the green and yellow colors of the imperial flag and decorated with the history of the royal family. 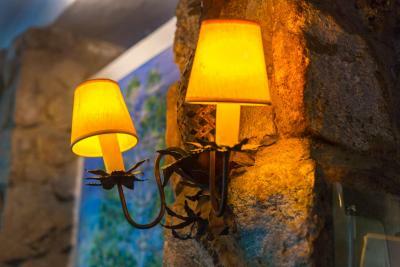 The Pousada do Príncipe blends simplicity and beauty to the charm and good taste that only the best things in life can bring, all in the most elegant and comfortable surroundings. 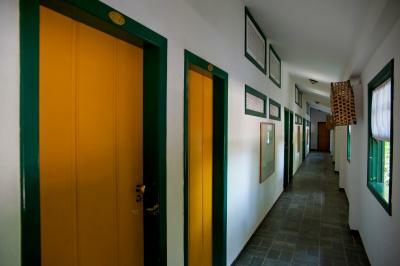 In all 35 apartments equipped with frigobar, cable tv, ceiling fan, telephone, wi-fi, safe and air condicioning. In a 1.781,20 m2 plot of land in which 1.152,72 m2 are built area, the comfort is enhanced by the well equipped 34 apartments, 02 living room area, English bar, swimming pool and an exuberant green area/garden..
House Rules Pousada do Príncipe takes special requests – add in the next step! Pousada do Príncipe accepts these cards and reserves the right to temporarily hold an amount prior to arrival. Perhaps give a small tip about the park area. Even though the building should be an old one, but the strong and delicated designing ideas have been injected into all the corners of hotel which is a good combination of colonial style and modern trends. Room basic. We wanted twin beds as I was travelling with my daughter and this meant lights, fan control, hooks etc were covered by a bed when they were set apart. 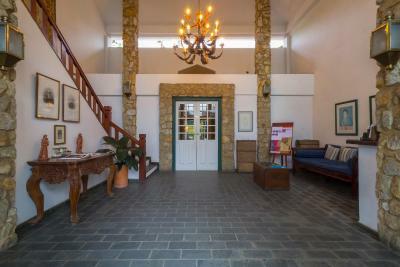 The pousada is really nice, clean, well located (close to the old town, but somewhere you can go with the car and also find banks and shops). Since it was very cloudy, we chose to stay at the accommodation in the evening, so we had some relaxing time near the pool at the bar, and the next day, waiting for our transfer we also stayed near the pool relaxing, even if not using the pool (which was really nice and clean). The internal yard is a nice oasis. Super good breakfast, among the best we had in Brazil. Nice property with nice pool & community area. Everything very clean. Nice staff. Good location on the Main Street not far from the old town. Excellent location, great breakfast, comfortable beds, nice pool area and helpful, friendly reception staff. The pool area was amazing and the staff were very helpful making recommendations and printing tickets for us. Breakfast was also very good with large variety. We have nothing negative to say about this place. It was very accommodating! Great location just a few mins from old town, lovely interiors and great staff. Nice breakfast too! Oasis within the city center, perfect stay to be in Paraty. 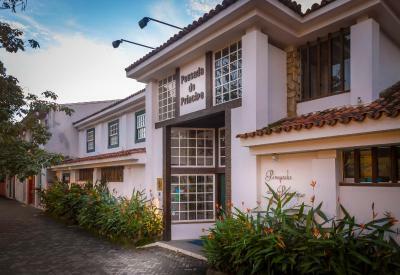 This lovely hotel / brasilian pousada offers very cute and clean rooms, amazing breakfast possibilities, very friendly and helpful personal with suiting shirts fitting the style of the hotel, extremely nice swimming pool. And your right away a couple of minutes away from the city center. Daniela was excellent providing us with great tips, transport in an excellent English. Definitely exceeded my expectations and I would always come back to pousada do principe. a bit small room. not enough place to open the luggage. charge of my credit card.